There are a lot of things that I love about Autumn including the changing color of the leaves and the cooler temps, however, my most favorite is Crocktober! You all know just how much I love slow cooking my meals as evidenced by these last two recipes; Slow Cooked Mediterranean Chicken and Slow Cooked Breakfast Frittata. I am always looking to try new Crock Pot recipes and since I started using less beef I have decided to cook more Lamb. 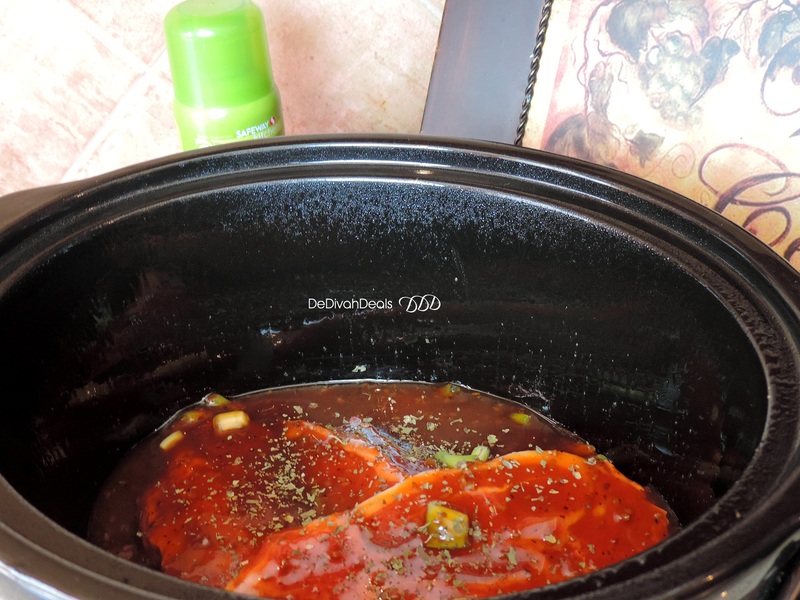 Last Sunday I made Slow Cooked Lamb Shoulder using a Korean BBQ Simmer Sauce from Safeway, BTW, you don’t have to use a sauce made specifically for Crock Pot cooking. 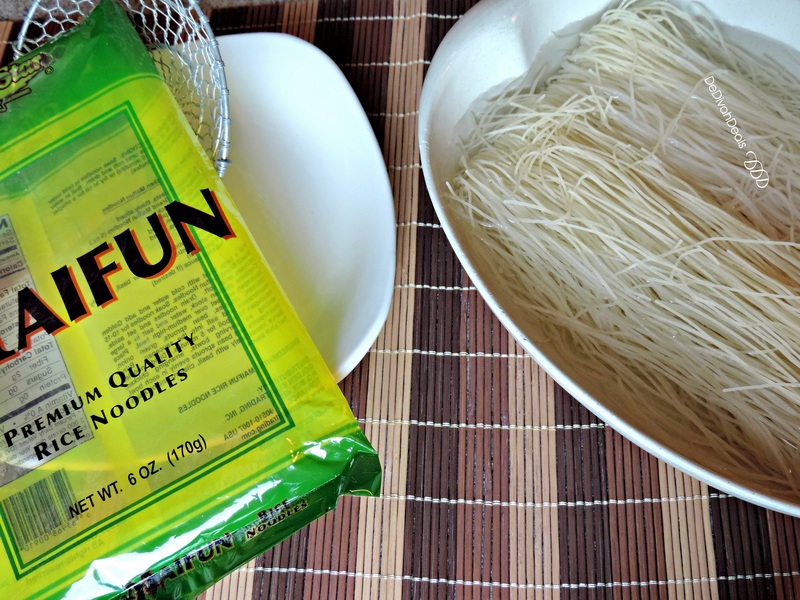 Taking an interest in the picture on the Simmer Sauce jar, I decided to pair the lamb with MaiFun Noodles topped with steamed spinach. 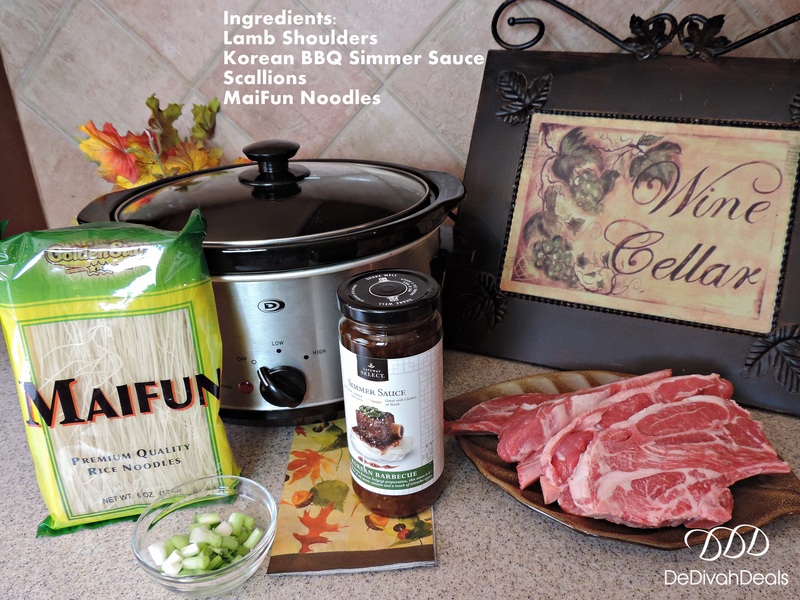 Place Lamb Shoulders into Crock Pot, pour in jar of Simmer Sauce and top with diced scallions. Cover and cook on low for 5 hours or on high for 3 hours. 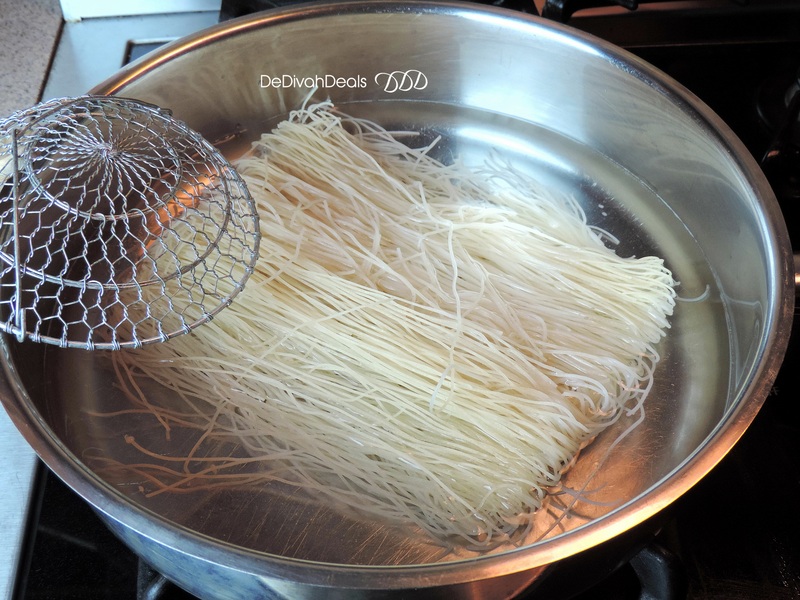 During the last 30 minutes of slow cooking the lamb, soak the MaiFun noodles in a bowl of cold water for 10-15 minutes, drain then boil them in water for 15 minutes. Also during this time, use a double boiler or steamer to steam spinach for approximately 10-15 minutes. 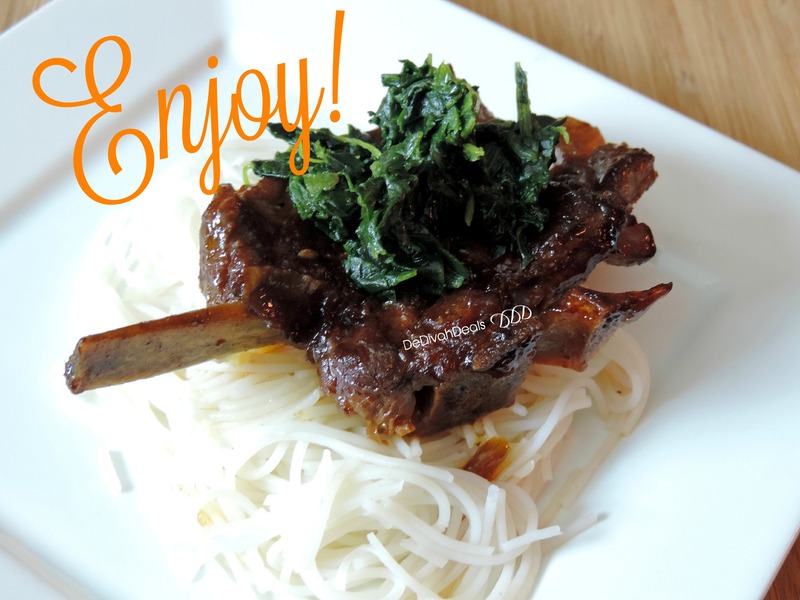 Turn off slow cooker, plate a layer of MaiFun noodles, top with a few a few pieces of the lamb and sauce, top with a little spinach then drizzle on a little Extra Virgin Olive Oil and ENJOY! 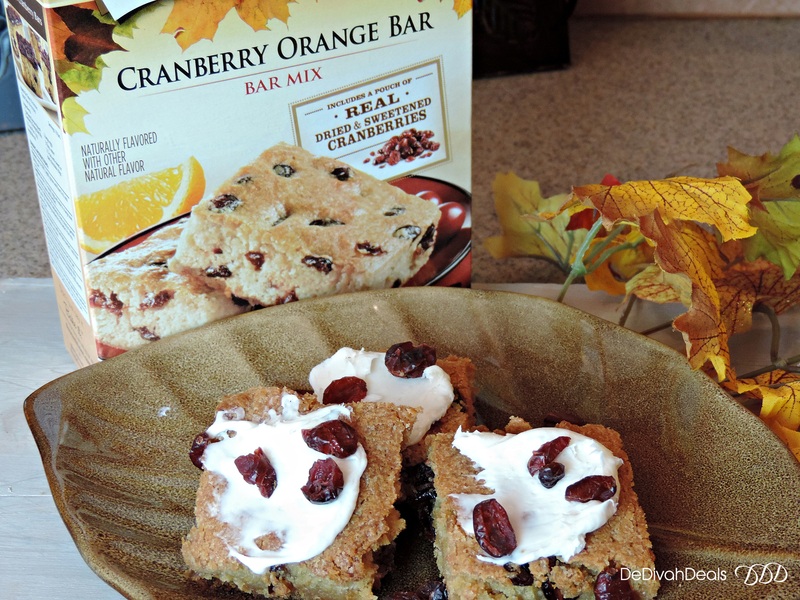 I also made these awesome Duncan Hines Cranberry Orange bars for breakfast and they were excellent. Do you cook Lamb, if so, please share a recipe and I might feature it on my Brunch with Blake YouTube vlog. O my yum! Looks amazing. I bet it was just so tender! Fell off the bone and finger licking good! Looks all kinds of yummy! Trust me it was good! How is the house building coming along? They estimate about 6 or 7 more weeks to go! I know you are so excited! Yay, then I accomplished my mission!!! If you need recipes for the Crock Pot – let me know! I love lamb! It looks wonderful. I moved down South a few years ago and lamb is so hard to find! Pia, where do you live? Most of the grocery stores here carry them but oftentimes too expensive so I wait until they go on sale. Is there a Farmer’s Market that might sell it? I don’t cook lamb at all but this is a great option. It looks so good! It is a great alternative to beef, we love it. Enjoy your weekend and thanks for stopping by. Good eats at your table and I would love breakfast at your place. No Lamb for me. Enjoy! Thanks sweetie, I just started eating lamb as it was a dish that I didn’t like when I was younger. I like lamb, but it is too expensive where I live for my budget. So I’ll head on over to your slow cooker chicken recipe – that is exactly what I am looking for tonight. Alana, I know what you mean which is why I wait for it to go on sale! I love lamb. I’ll have to think about this one. 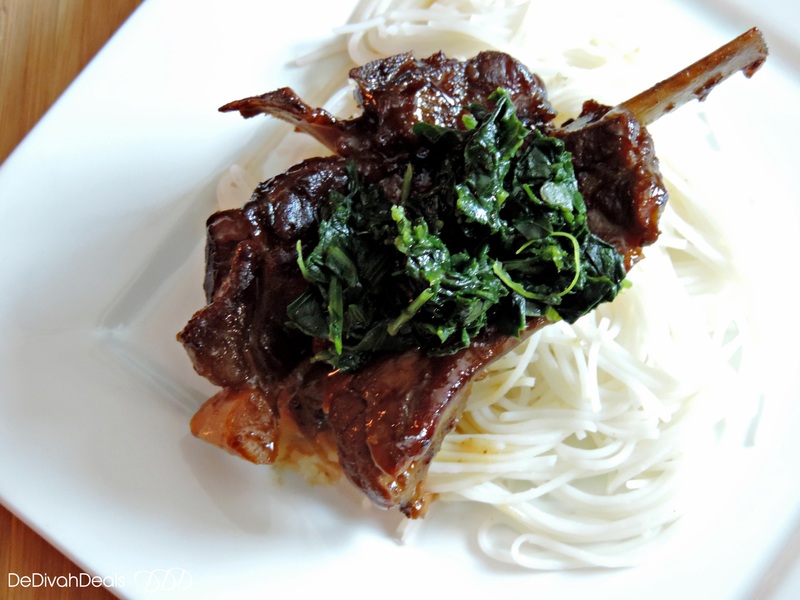 Anne, if you like lamb then I am sure you will like this recipe. Awesome, let me know how you like it because I am sure you will!